With so many different islands, religions and ethnic groups, there is always some type of celebration going on in Indonesia. We’ve put together four Indonesian festivals not to be missed, ranging from celebrations of music and dance to kites and ceremonies. For several months every year the sky above Bali is a kaleidoscope of kites. During the windy season, from July to October, hundreds of brightly coloured kites, some up to ten metres in length, adorn the skies. Behind them, 100-metre-long tails flutter in the wind. 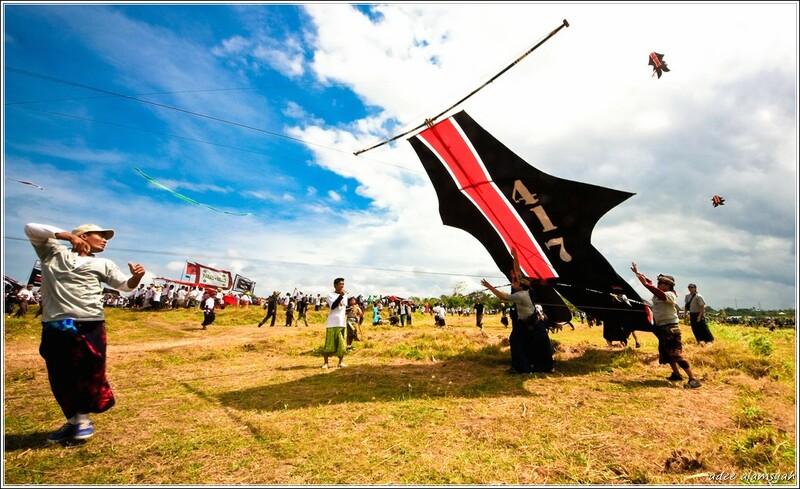 People flock from all over the island to showcase kites that are traditional to their town or village. Preparations start months in advance and involve the entire village. Many of the designs take inspiration from nature and resemble animals, fish, flowers and leaves. Some kites contain a bow that vibrates when it is flown, making a low hum that can be heard far and wide. The festival started as a way to give thanks to the heavens and the gods for bountiful harvests and fertility. Since then it has grown to be an important event with impressive prizes awarded for the most creative kites. The annual Bali Kite Festival takes place from July to October along the eastern coast of Padanggalak, just north of Sanur. 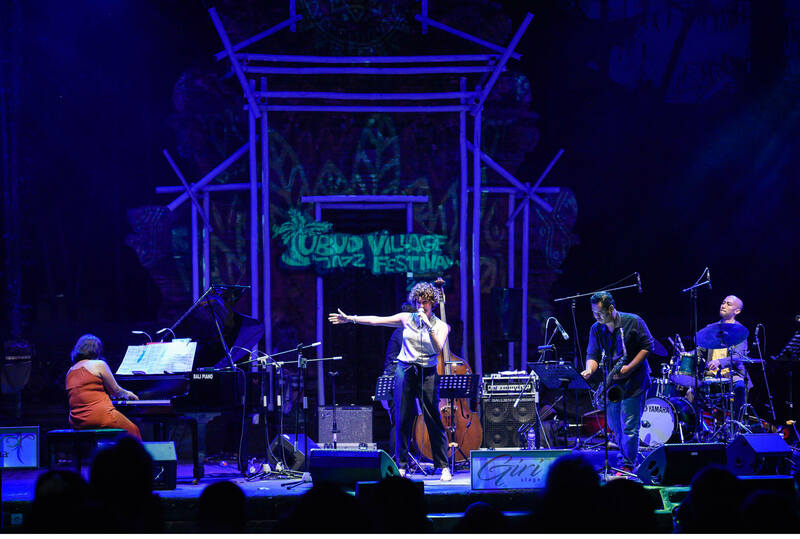 The arty and enchanting town of Ubud in Bali sets the backdrop for the Ubud Jazz Festival. An impressive lineup of artists fill the traditional streets with the beautifully delicate rhythms of jazz. 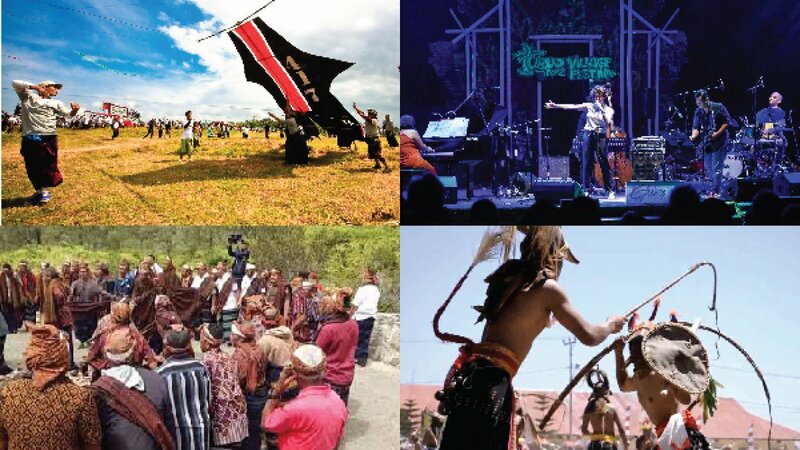 The festival attracts accomplished performers and emerging talents from Europe, USA and Asia including many legendary figures from the island itself as well as all over Indonesia. In addition, there will be workshops to attract budding musicians and young people to the delights of jazz. This gives the unique opportunity to learn more about the various types of jazz and hone your skills with jazz experts. The community-based event is assisted by dozens of volunteers and aims to encourage and promote national jazz artists, giving them a platform to perform for a global audience. The festival usually takes place in August on the open stage at the ARMA Museum in Ubud. On August 14th the Lio people of Flores will embark on a pilgrimage journey up Mount Kelimutu, near the town of Moni. This is part of Pati Ka Du’a Bapu Ata Mata, an annual festival to celebrate and honour the ancestors. The Lio people believe that the three Kelimutu crater lakes are the resting place for departed souls, so they return each year to praise the spirits, knowing they are all in one place. Tiwu Ata Bupu is also known as the ‘Lake of Old People’, Tiwu Ko’o Fai Nuwa Muri is the ‘Lake of Young Men and Maidens’ and Tiwu Ata Polo is also called the ‘Bewitched or Enchanted’ Lake. To add to their mystery and intrigue, these ethereal lakes also change colour due to the mineral content interacting with volcanic gas. Various food offerings are placed on a stone altar near the lakes, accompanied by chants, prayers and ritual performances. Everyone then treks back down to the bottom of the mountain for more festivities and cultural dances. Manggarai are the indigenous people of Flores and have many unique rituals and ethnic dances. One of their most unusual is the traditional ‘caci’ dance – a whip fight between two rivals, and a major part of Manggarai cultural identity. During ‘caci’, bare-chested men wear white trousers and a mask with goat hair hanging down the back. Tiny bells worn on their hips and around their ankles create a peculiar sound as they move. The defender carries a round shield representing the female, the womb and the earth. The aggressor holds a rattan whip with a leather-covered handle that represents the male element, the father and the sky. When the whip hits the shield it symbolises the unification of the male and female, and the creation of new life. The fighters dance to the rhythm of drums. It’s a high energy performance that requires skill and agility. If you are in Labuan Bajo on 17th August you can catch this lively event, however it is also performed during births, marriages and funerals throughout the year.